Guests of our Berkshires Inn never lack for something to do. Edith Wharton's Estate, The Mount. The region has superlative outdoor recreation, from hiking to skiing, paddling to zip-lining. It has some of the finest cultural offerings in the country: Tanglewood and Jacob’s Pillow Dance Festival. It has world-class museums and historical sites: The Clark Art Institute, the Norman Rockwell Museum, Edith Wharton’s The Mount, and Melville’s Arrowhead. 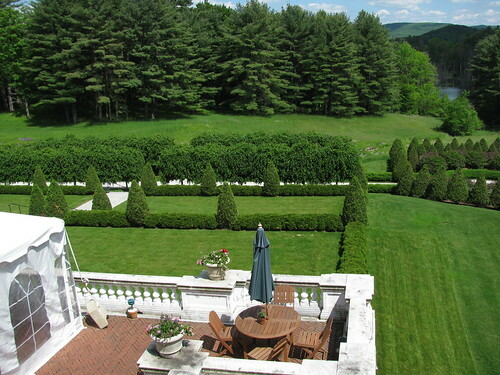 Many guests of our Berkshires B&B live in a city, either New York City, Boston, or Hartford. They come to the Berkshires to stretch out and breathe in the fresh air. Some are avid outdoorsmen, and want to spend all of their time exploring the mountains, lakes, and rivers of the Berkshires. Others are drawn to the quintessential New England small towns that surround our inn. Still other guests come to enjoy the many cultural offerings the region has to offer. No matter what you do by day, consider stepping out in the evenings. Colonial Theatre in Pittsfield offers a wide array of entertainment. Recent events include the great Elvis Birthday Bash, which featured both a young Elvis and Elvis from the ’70s. Upcoming events include Jamie Kent & The Options on February 2, T Bone Daddy, a rocking’ blues trio on the 9th, and The Duke’s Men of Yale: A Night of Love and Heartbreak with Da Doox! on February 11. Of course, quiet evenings spent at our luxurious Berkshires Bed and Breakfast also hold great appeal.